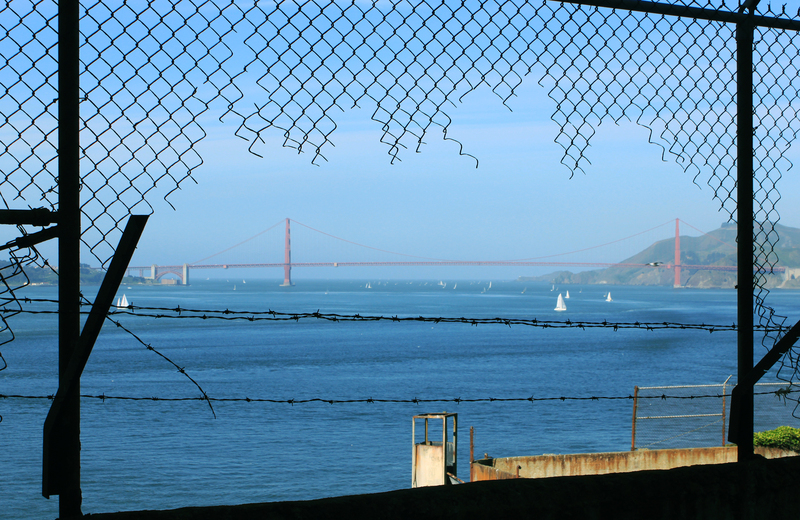 I went to Alcatraz last week for the first time since a field trip in grade school. Wow, I should of gone sooner. It’s a fascinating spot and more than just a place to take out-of-town visitors. 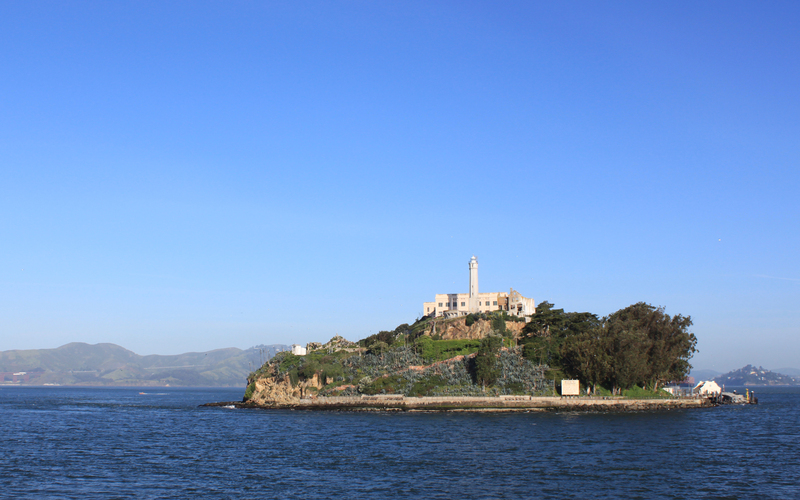 The prison is of course iconic and there are great views of the Golden Gate and the rest of the bay, but also the island has some of the most historic gardens in California. 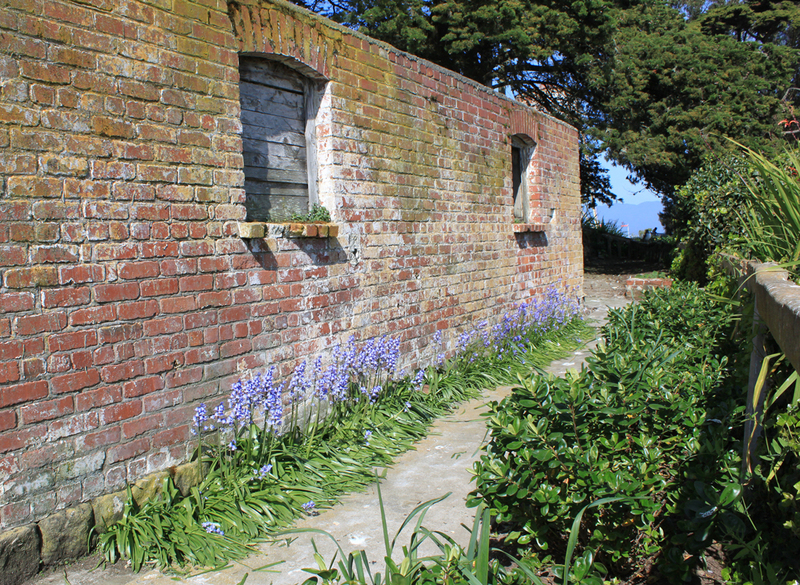 They were started by the military in the 1850’s on soil brought over from Angel Island, and then various soldiers, jailers, and inmates expanded and maintained the gardens throughout the years as the island went from fort to military prison to federal prison. 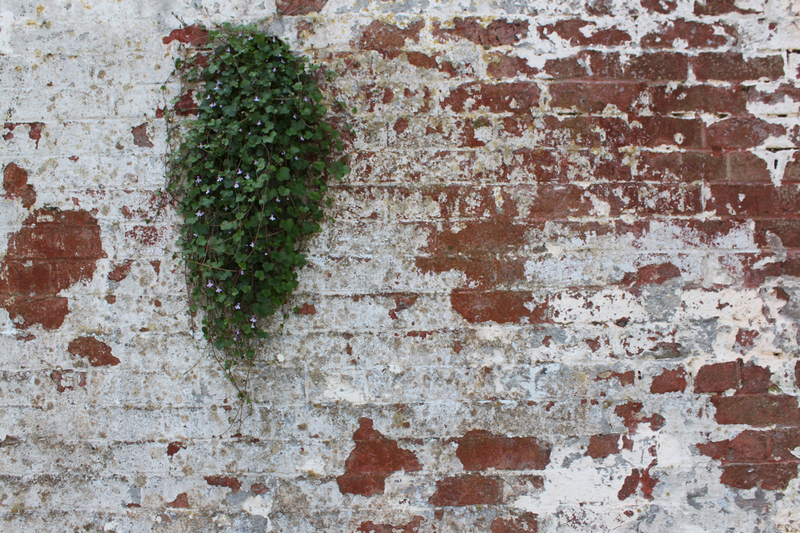 The gardens were abandoned when the prison was closed down and a lot of the island was swallowed up by weeds, but a lot of the tougher plants held on. In 2003 the Garden Conservancy took over the gardens and began restoring them. Many, many, many hours of volunteer labor have gone into them. 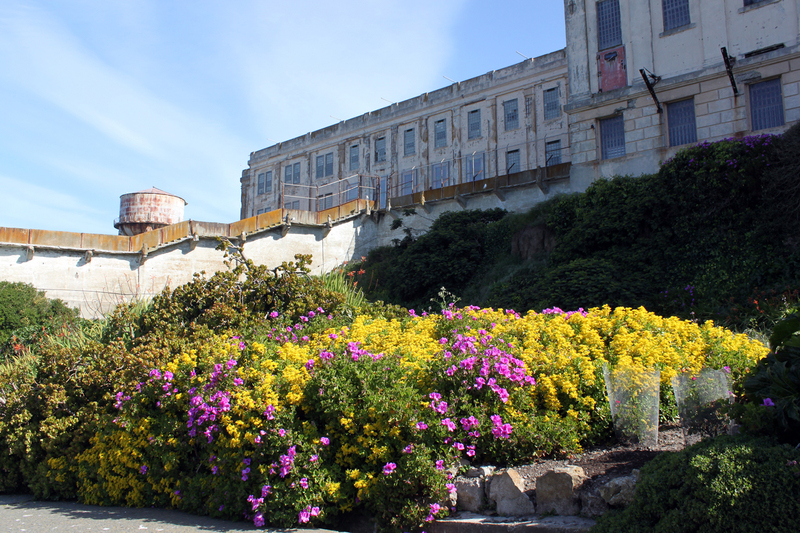 Restoration seems to be about developing or preserving the dichotomies of Alcatraz: a prison garden full of escaped exotics, a weeded garden ruin, wild plants in one of the most human-built sites in California. 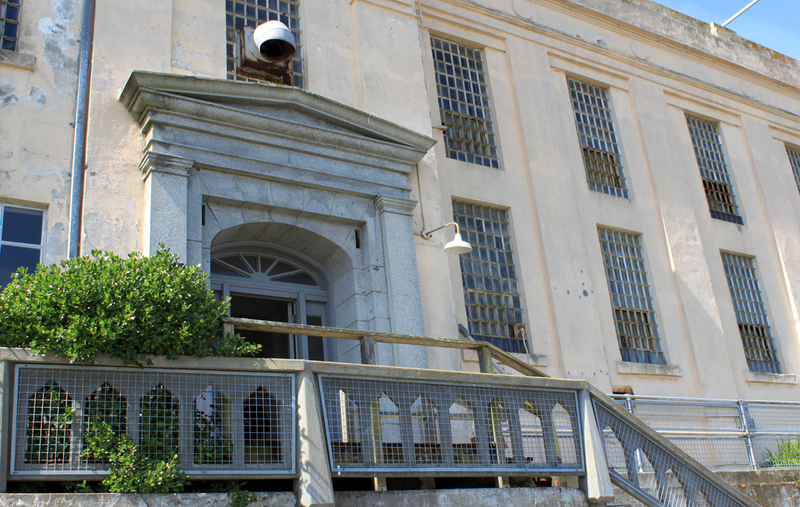 There are a ton of different building materials throughout the island, with various types of concrete, stone, and brick mixed and layered in funky ways reflecting the island’s transformations from fort to military prison to prison. 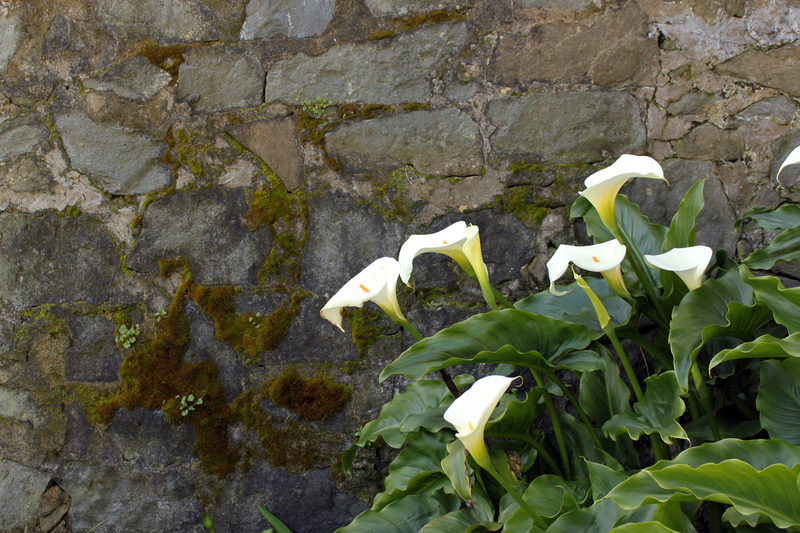 Even in the calla lily photo there are two different types of stone. The brickwork in the photo below almost looks like a tapestry the way it is outlined by what were originally the corners of separate stone walls. I’m not sure what plants are naturalized from before and which ones have been added by the Garden Conservancy. There’s an extensive website for the gardens, including a blog, with a lot of photos and information about the history of the gardens. 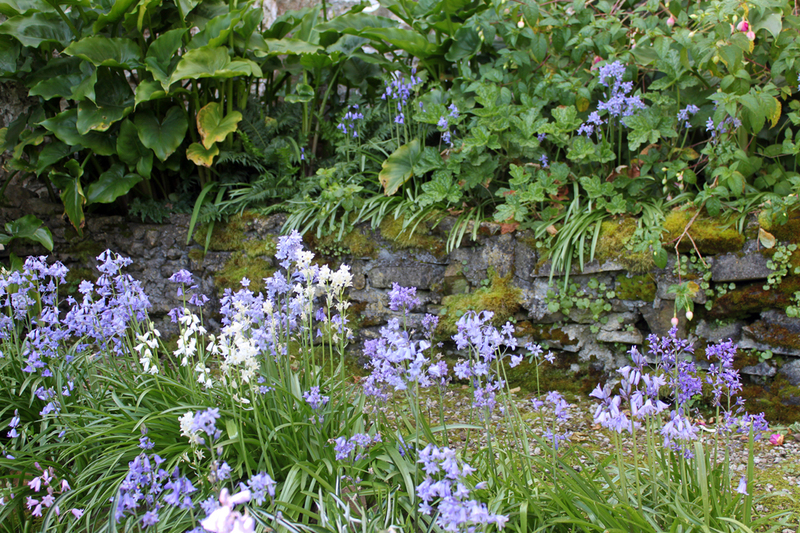 Quite a few garden bloggers have visited the island; Saxon Holt at Gardening Gone Wild, Far out Flora, and Oakland Guerrilla Gardener are two of the ones I know about. This hand-carved granite doorway was built when the prison was still a fort. 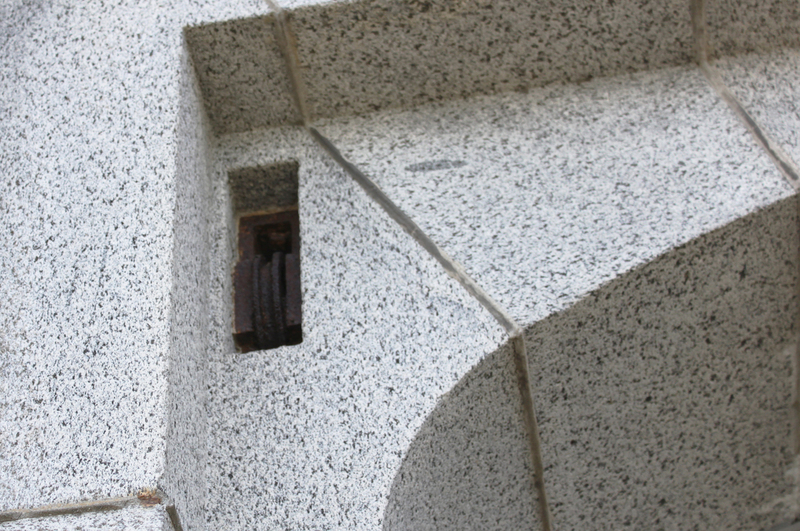 In the upper corners are two pulleys from the original drawbridge door. This entry was posted on Sunday, April 24th, 2011 at 7:42 am and is filed under public gardens. You can follow any responses to this entry through the RSS 2.0 feed. You can leave a response, or trackback from your own site. Excellent post! 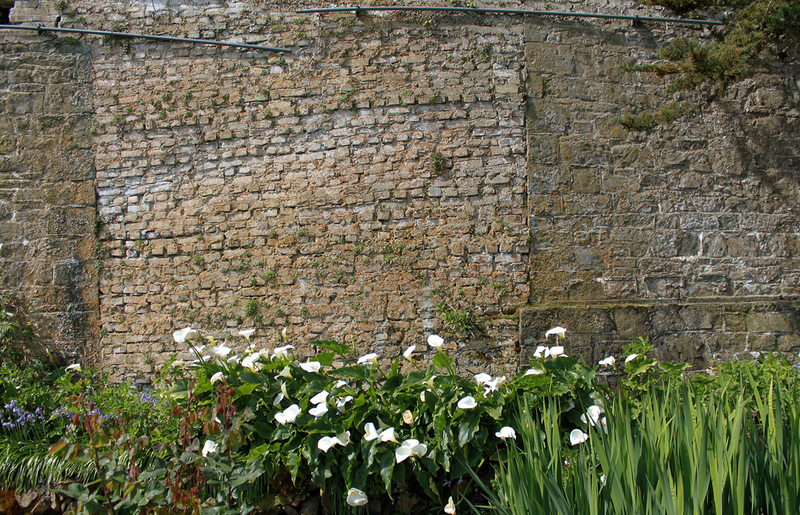 The history of the gardens is fascinating, thank you for sharing it. I had no idea. I wonder if there ever was a backlash. A few years back there was a prison design that won a big architectural award for its humanistic details. 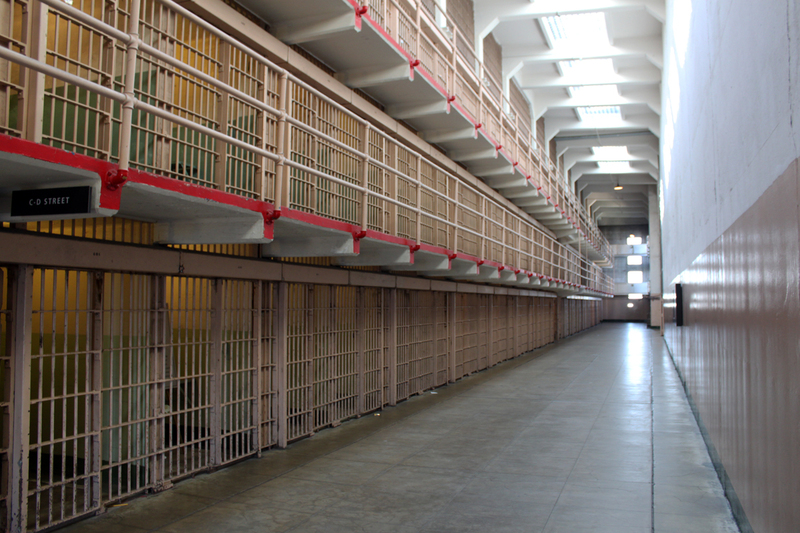 The politicos in charge didn’t like the idea of a humane prison and turned it into a REAL prison, instead. Sad. So I wonder how gardens on Alcatraz were perceived. Too nice for the felons? Beautiful gardens! I went to Alcatraz and saw the gardens in September two years ago with my husband. It’s great to get a look at them in a different season.